Great photos Zech by the way. Russulas and Milkcaps are fine to taste in the field just as your good self has. In fact this is the best way to know if you want to take them home for the pot or not. 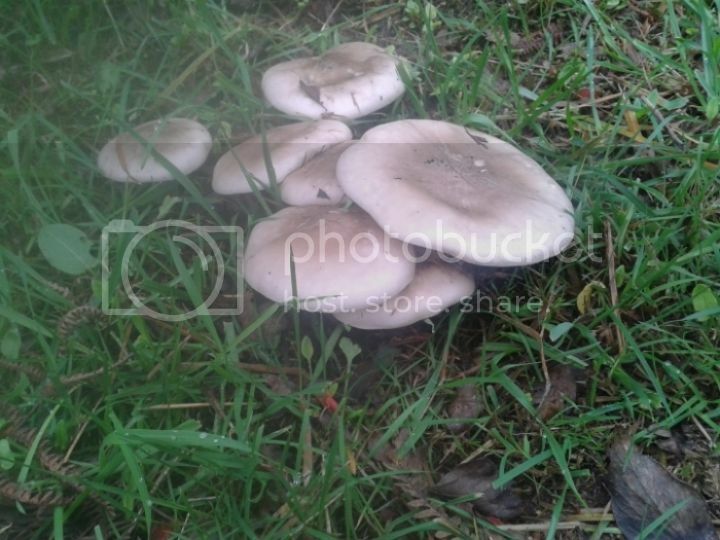 With Milkcaps just brush them underneath until they lactate and sample a tiny dot on your tongue. If it tastes bitter or hot then it is normally not going to improve with cooking. The beauty of the entire Russulaceae family is of course that whilst certain members will upset stomachs, there are no deadly varieties. NOTE - All mushrooms though will disagree with some folk. My personal favourite "chicken of the woods" is edible and I can eat it with gusto. However it will certainly upset some people. The trick is to always cook a new shroom to the table and only eat a very small amount. If no adverse reaction cook on a second occasion and eat a slightly larger serving. If all still fine then you are likely to have found a new culinary friend. BUT - Always do your research. All fungi is edible but there are varieties that you will only eat once!!! I will post my foraging photos when I have reached the post limit that allows me to add them into my post itself. I can manage links but I just don't like them. By the way - could anybody kindly tell me what the post limit is to allow me to post my photos? Like their cousins the Brittlegills, the Milkcaps can give warning of their poisonous nature by being very hot to the taste... Unfortunately, unlike the Brittlegills, the Milkcaps contain a rogue species that is poisonous even though it has a mild flavour. The poison is of the gastrointestinal variety and will give anyone who eats it an unpleasant few hours. The fenugreek milkcap is distinguished from the oak milkcap by habit - birch and pine woods - and smell whilst drying. There's a patch of mushrooms I know that I'm 95% sure are oak milkcaps (they're growing under an oak tree) but have avoided because I don't trust myself to identify based on smell. Mind you, if the potential harm is only an unpleasant few hours, maybe I should take the risk. I've also found that older specimens can cause discomfort while younger specimens of the same species are fine. The limit of 25 posts actually applies to links, not photos, and it's applied at the moderators' discretion, rather than automatically. You should be able to post photos now - if you look below the text box that you're typing your post in, you'll see two tabs, Options and Upload attachment. Choose the second, browse for your photo file, add the file, and place inline. It will probably have moved the cursor by the time you click this, so it will put the attachment code in the wrong place and you'll have to move it. I think there's a size limit on what will actually show on screen, rather than as a link to another page, but I can't find what it is. It's probably a good idea to resize photos for the internet anyway - mine are usually 500 pixels wide. The beauty of course is that a dot of latex on the tongue from a Fenugreek Milkcap will not bring on poisoning. It will taste so acrid that you sensibly wouldn't want to eat it though. It is however dried and used as a spice, and some brave folks do cook and eat it. BUT, risks are not worth taking! I do believe I will post some of my weeks shrooms over the weekend now that I have all the photographic knowledge necessary. Incredible year so far for fungi, and it can only get better now we are into September. Even after the drop in temperatures over the weekend, and heavy rain, there is nothing out there. No fly agarics, no brown rollrims, no clouded funnel, no honey fungus. There's not even any buttercaps and yesterday I went out for 3 hours and didn't even see any sulphur tuft. 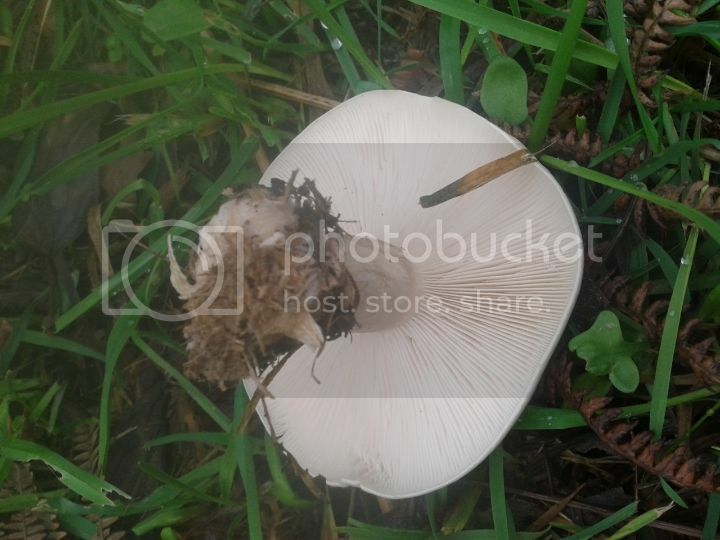 I frequent about 5 forums where people post pictures of fungi, and right now you could hear a pin drop in any of them. Nobody is posting pictures from anywhere in the UK. It may all explode into life next week, but at the moment it looks like the season peaked at the start of September and that 2014 is going to prove, overall, to be an utterly dismal year for fungi. I was just coming here to ask what happened to all the mushrooms. I went out this morning and found one small clump of hedgehog fungus and one tawny grisette. It's very reassuring to hear that it's not just me! I do hope they come back. Found in northern michigan. Brownish tipped caps tapering into creamy tan. White gills, brown with age. Thought they may be Coprinellus micaceus. The fungi of north America are sufficiently different to those of Europe that asking us to identify your fungi is not ideal. You would be better off finding somewhere more local to do it, if such a place exists. got a latin name for that Geoff? doofaloofa wrote: got a latin name for that Geoff? Hi wisteria and welcome to Ish. Sorry for the delay in getting back to you. I'm afraid we don't have a mushroom expert around at the moment. So until someone emerges with the confidence to ID from photos we're going to lock this thread. We'll leave it in place as previous posts may be of some help. There's lots more on Ish to peruse though!